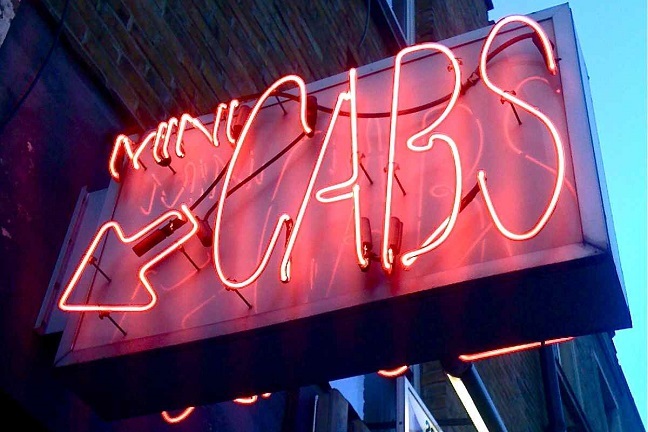 Can traditional minicab firms survive the onslaught of Uber? Small private hire companies face a battle on two fronts - for their customers and their drivers. Much has been written about the battle between Uber and London’s black cab drivers. Cabbies, who spend years learning ‘The Knowledge’ and have much higher running costs than a private hire driver, lament being undercut by a new low-price rival that they claim is flouting the rules. But it’s actually traditional minicab firms that stand to lose the most. Before Uber’s expansion into the UK there were a few large private hire operators like Addison Lee, but most were (and still are) pretty small operations with a couple of dispatchers relying on telephone bookings. Uber, which itself operates effectively as one big minicab firm (in London at least) is competing with them hard on price and has gone after their customers by making it easier to get a cab to your location within a few minutes. In London, home to around one third of Britain’s taxi and minicab drivers, the total number of private hire vehicles (minicabs) soared by 25.9% to 62,800 in the two years to March 2015, according to statistics from the Department for Transport. But over the same period the number of minicab firms dropped 4.8% to around 3,000, suggesting that while the market is growing not everybody is sharing the spoils. Coping with such heavy blows isn’t easy but many firms aren’t giving up altogether. Some, like Addison Lee, have focused on providing a higher quality service to corporate clients who are less easy for Uber to woo. Smaller outfits have tried to compete with Uber’s tech too. Swift Cars has built its own app, which now generates around 30% of its custom – ‘it’s growing every day,’ says Zulfiquar. And some have got together with citywide apps like Kabbee and Minicabit, (and more recently Karhoo) which allow users to order a minicab via dozens of different firms. They’ve also got the edge when it comes to important journeys like early morning airport runs, because Uber doesn’t let users pre book. But it’s not just consumers that they are fighting with Uber for. The number of private hire drivers may be soaring but they are still finite. And being self-employed contractors it’s easy for them to move on. Minicab firms who used to be picky and demanding are now forced to cast their net wider. Whether the rise of Uber is good news for private hire drivers is a source of contention. Some have complained about their treatment at its hands in protests around the world, but it doesn’t seem to be having much trouble signing them up. While they earn fairly low rates per ride, Uber’s scale and popularity generally means drivers spend less time sitting around waiting for another fare. Nonetheless Zulfiquar says many of the drivers Swift Car recruits are ex-Uber. In that respect the taxi market is analogous to that for takeaways. Few still survive without the help of Just Eat and Hungry House, the online ordering platforms that offer similar marketing services. It would make sense for minicab firms to club together in the same way. Peters says he expects small local fleets to be a thing of the past in London soon, but those in the rest of the country are perhaps in a better position to see off the threat of Uber. The upstart works so well in London because of its scale. But there are few places where that’s such a big advantage. With the exception of a few really big conurbations, there’s nothing stopping fair-sized local cab firms covering most of an average city or big town. It’s undeniable that the rise of apps like Uber has been a big challenge for the traditional local cab firm, and it’s hard to imagine that many more of them won’t be driven out of business in the future. But the market is never going to be totally controlled by one player. Uber has rubbed plenty of people the wrong way and there will always be customers who are willing to go elsewhere.